Ok, you need to make your Super Bowl party epic. That means a killer food selection. Not just the Super Bowl though. We wanna up our game across the board for any sports party recipes. Tailgating, March Madness, NBA Finals, high school football, soccer, field hockey, lacrosse. Depending on your region, you’re going big for one sport or another. Get in the home team spirit or ready to host team dinners with some of these yay, rah, rah sports party recipes. Referees usually get pretty sour treatment from fans. 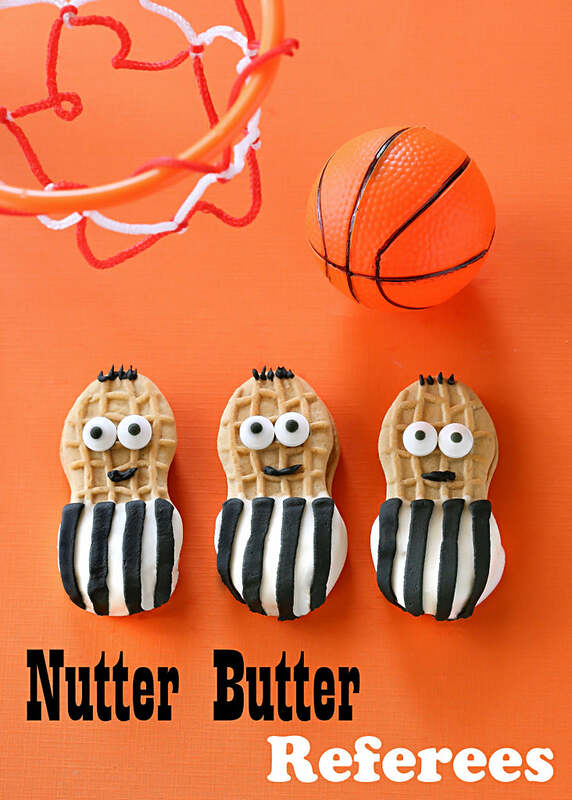 Why not sweeten it up a bit with these Nutter Butter referee cookies? They’re so adorable that you might even forget to shout if they make a bad call. Bring some of these cookies to a game to pass out to players as a victory or consolation snack. Even whip some of these up for a sports fundraiser or snack concessions stand. Everyone is sure to love the taste and look of this sporty cookies recipe. 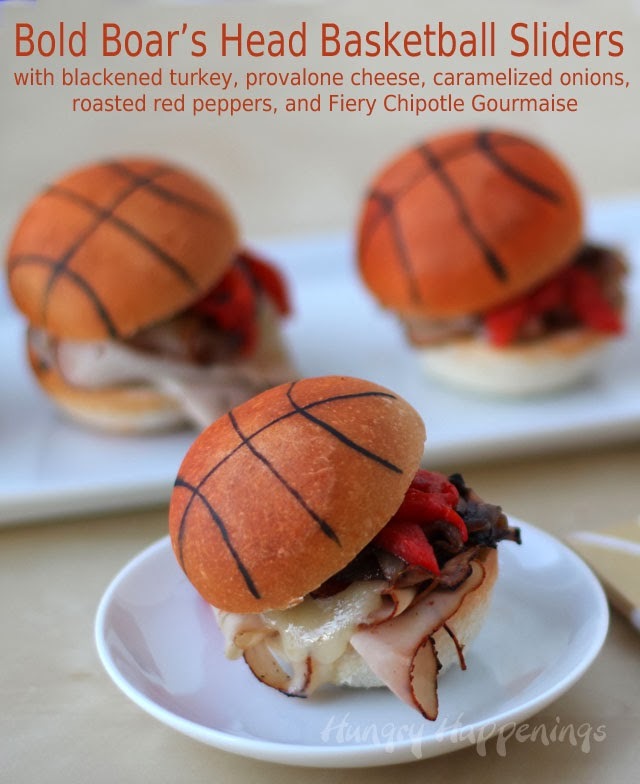 You can make these basketball themed meals on any sandwich that uses a round bun. And the best part is: you don’t have to do much different than usual. Just use some edible food coloring and paint it on top or even drizzle some dark colored sauce like Worcestershire, A1 or even BBQ if the flavors complement the sandwich. You can serve these to whole teams that are over for a big game or sneak one into your kid’s lunch as a surprise before the whistle blows at their next game. Stay strong through every quarter, every down and the ups and downs of the season with these top football recipes. 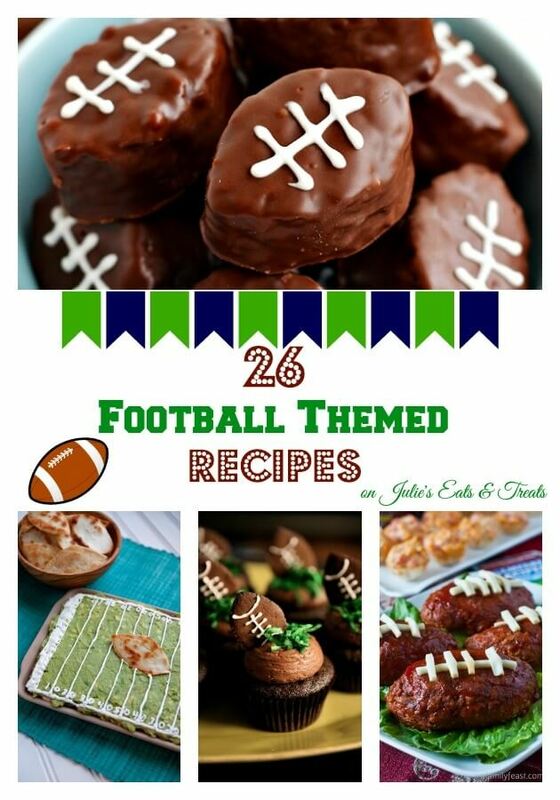 From football themed cupcakes to football shaped meatloaf to 100 yard dip, you’ll be able to try a ton of these throughout the whole season. Host a dinner for the whole team and prepare some of these recipes to give them a pep rally in their stomachs before the big game. Even whip some of these recipes up for friends to eat at a tailgate. We know these recipes will be winners every time. If you have kids who play different sports, you are an athlete yourself or you’re just a fan of a variety of sports, try these cupcakes out. The beauty of this baked good is that you can use whatever cupcake recipe you love most. 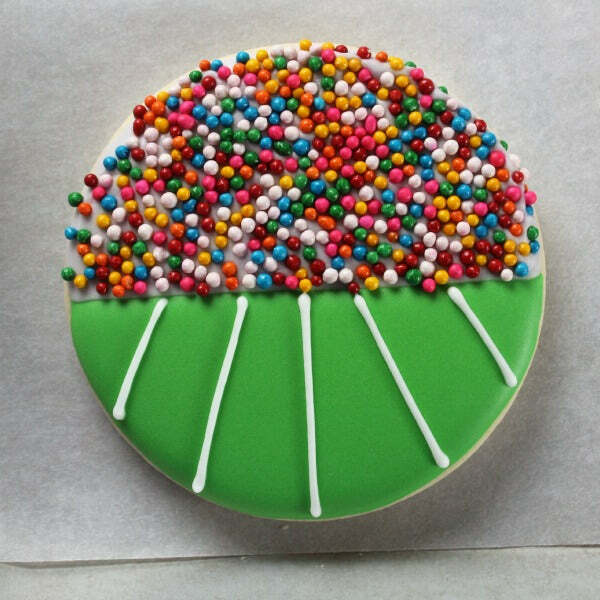 Then, either whip up some frosting and dye it to match the ball you’re going for or try fondant. 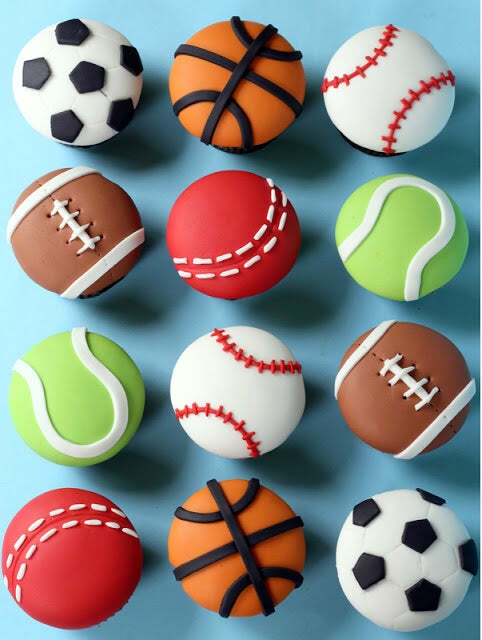 No matter what, you have delicious sports party recipes that will score big with whoever is lucky enough to eat a cupcake. 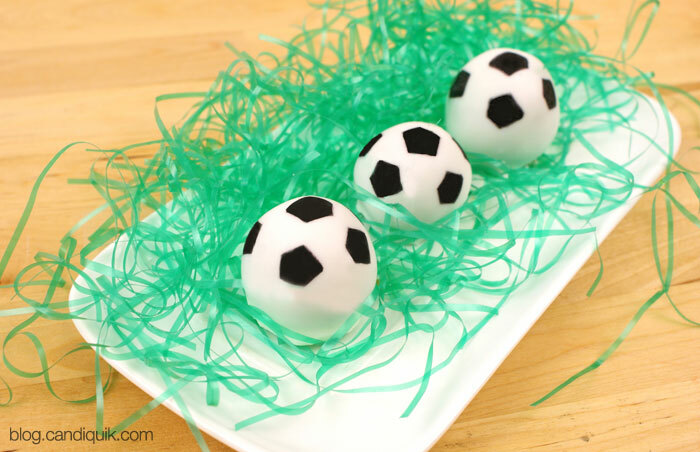 With some Easter basket faux grass and soccer themed cake balls, you’ll have a fun treat to put out for dessert at a soccer team dinner or to bag up and sell at a fundraiser or concessions stand. Follow the recipe exactly, or doctor it by using a cake recipe of your own. These little soccer cake balls are adorable and delicious. You might need a referee to call foul on anyone who is a ball hog! You can’t forget about the cheerleaders who rally for the home team every game. These pom pom cake pops are a perfect reminder of their dedicated cheers and make one tasty treat. If you want to try a team building exercise, invite everyone over and have them assemble their own pops. The whole team will have fun getting hands on with the ingredients and will be able to enjoy something delicious when they’re done. 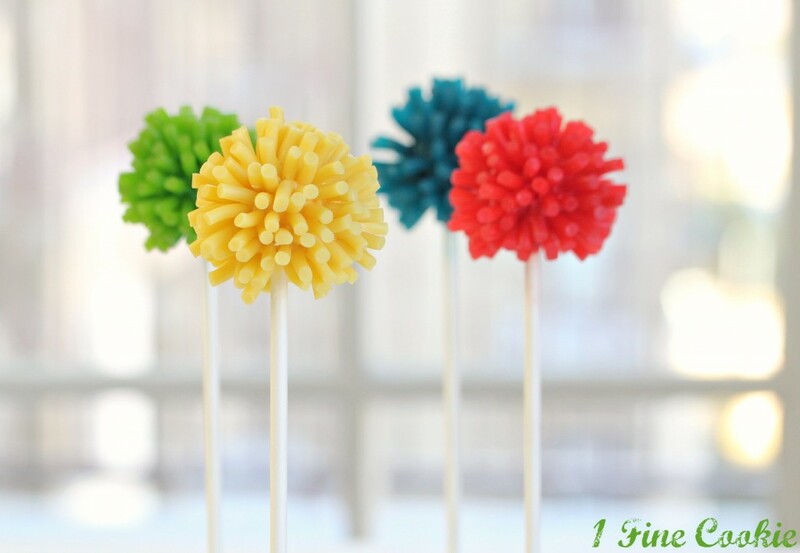 You can also make these pom pom cake pops, wrap them up in cellophane and dole them out at the end of the season as thank you’s to your hard working squad. These sugar cookies are getting ready to do the wave with their crowd of colorful sprinkles. With a traditional sugar cookie recipe and some carefully colored frosting, you can transform an underdog dessert into a champion. If you’re getting ready for a bake sale, football party or big tailgate, whip some of these football stadium cookies up. Everyone will go wild for them. These aren’t just delicious. They’re also full of energy and electrolytes for your athletes. 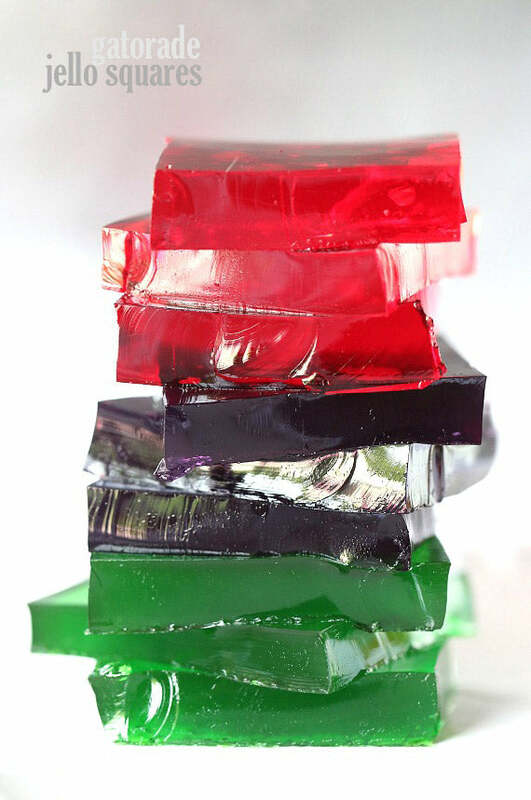 Instead of oranges at half time, bring some of these Gatorade Jell-O squares for players to gobble down. You can even make these snacks more thematic by using sport shaped cookie cutters. Just pick the color and flavor and watch the team spring back into action in the second half. For a quick snack idea, print off some of these sport-themed labels and stick them onto canisters. The labels instantly transform foods into sport equipment dopplegangers. 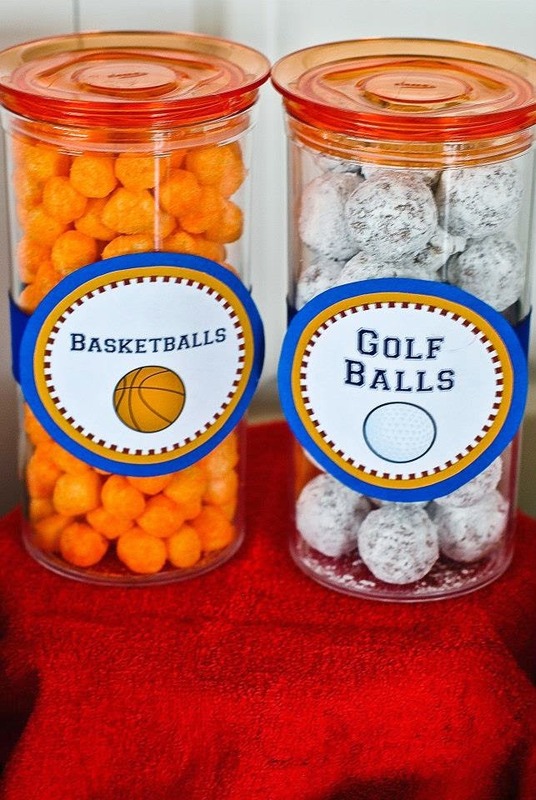 Try Oreos for hockey pucks, cheese balls for basketballs and even mini donuts for golf balls. They’re a quick sports party recipe you can set out at a party to amp up the team spirit and deliciousness. There is also sports themed candy you can use as well. This is the ultimate sports party recipe, it’s perfect for Sunday football watching on the couch or if you’re hosting teen boys who love the game. You don’t have to buy anything special or look for a different recipe either. The secret to this dish is in the topping game plan. 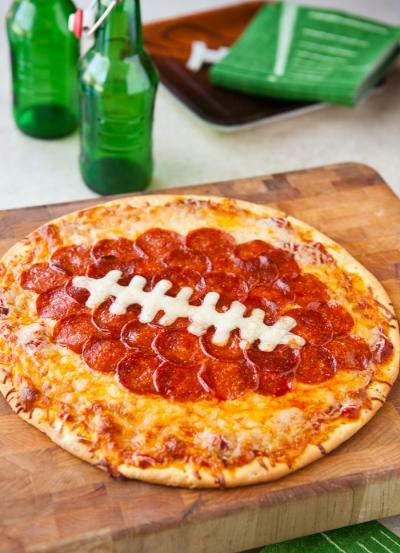 Use pepperoni or any other topping to shape a football and then use a little extra cheese to create the laces. Use different colors of cheese for the background and the laces to set them apart. If football isn’t your thing, you can even try a soccer ball, baseball, lacrosse stick or whatever else you want. Get personal with these sport jersey cookies. 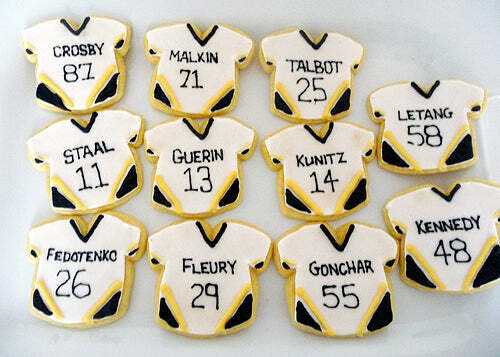 Whether you’re watching professional, college or peewee, you can alter these jersey cookies to showcase any team member name or team colors. Make a platter of these jersey cookies before a game and give them out once the players step off the field. They work for every sport that wears a jersey and will show the team how much you care. Here are 11 more Elite Football Party Recipes and Fantasy Draft Party Snacks. And here are gummy bears playing football.